Need a PA for your band? Maybe you’re a DJ and want a portable PA system to bring to your events. Or perhaps you need a full PA installed at your venue, church or school. 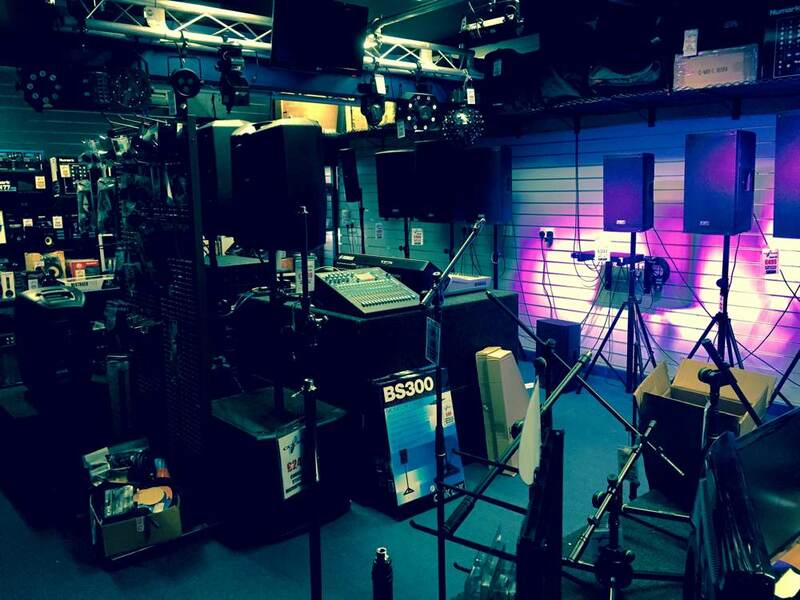 Our new PA room is now in operation, so come in see (and hear) what we can do for you. We have an extensive range of FBT powered speakers in stock - something to suit every budget. If you need mixers, we have everything from basic 4 channel units to 32 channel pro desks, including products from Allen & Heath and Yamaha. Or if it’s bits and pieces you need, we have a wide selection of cables, mics, stands, etc. We also have in-ear monitoring systems starting at just £220. Pop in and speak to Steven or Matthew to discuss your requirements.